Its new guidelines lift most of the restrictions and no longer ask gaming vloggers to register for Nintendo’s revenue-sharing scheme. Nintendo said it was “humbled” by its fans’ loyalty. 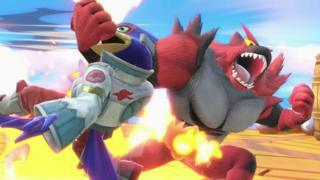 Many video-makers had complained about Nintendo’s policy and avoided sharing gameplay videos online, because the company often filed copyright claims on the content. “As long as you follow some basic rules, we will not object to your use of gameplay footage and/or screenshots captured from games for which Nintendo owns the copyright,” the company said in a statement. “Nintendo has a fan base that’s been dying to make stuff for years,” Ellen Rose, a gaming reporter for Outside Xtra, told the BBC.